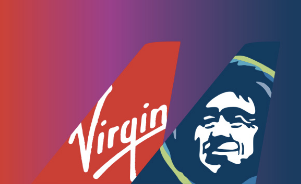 How Virgin America loyalty program work? Everyone is used to their accruing airline miles, and then redeeming those airline miles to get their free airplane ticket. This is good for most of us who try to find the cheapest ticket possible because we still get the same number of miles independent of ticket price. However, Virgin America‘s (VX) loyalty program (“Elevate”) is a good reward model in favor of themselves, and not the consumer. That combined with no status wonders how they will attract the business flyers. You earn 5 Virgin America Elevate points for every pre-tax US dollar spent on a ticket. I had flight of total of $49.60, pre-tax was $36.10. I earned 36 * 5 = 180 Elevate points. On Virgin America’s website, you can switch back and forth between dollars and Virgin America points when booking a ticket. The rough conversion is 46.51 points per US dollar. Examples: A $38 flight is 1768 points, and a $101 flight is 4698 points. So if you are stuck with a short mileage flight but expensive ticket, go with Virgin America. Virgin America offers you more bang for the buck! You will also enjoy the nice new planes – before they go out of business per The Captain’s previous post.